Viyella's Windowpane Check Shirt is a fine quality cotton and wool mix shirt perfect for all occasions. Viyella's Windowpane Check Shirt is a fine quality cotton and wool mix shirt perfect for all occasions. 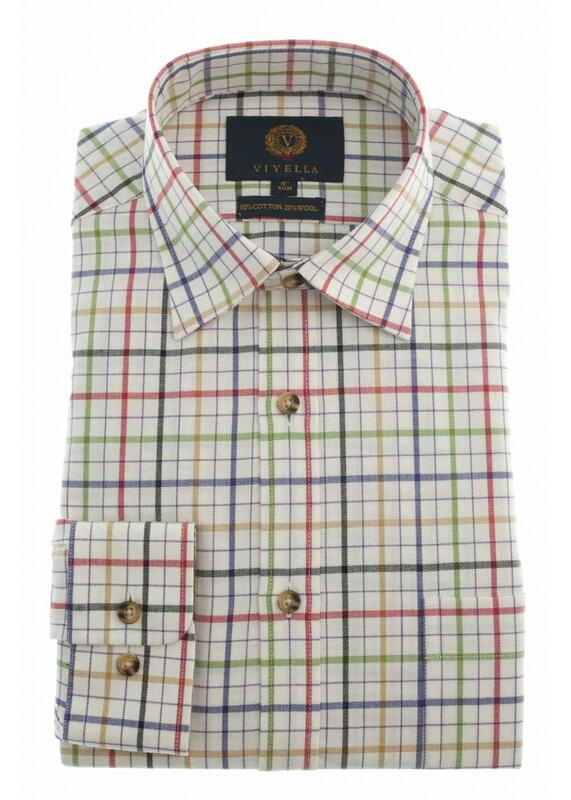 Designed with an attractive melange check, this beautiful shirt features a chest pocket and relaxed, cut away collar to combine comfort and style in one great garment. Showing our 1 review for Viyella Windowpane Check Shirt. Enkele jaren terug was de shirt lengte Regular en OK.Bij de laatste bestellingen zijn de mouwen 3,5 cm te lang, dus moet ik ze korter maken.Voor de rest ben ik zeer tevreden.